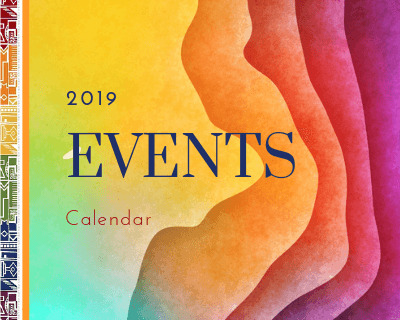 There are many exciting Cape Town events in February happening which you will love to join while living in the Mother City. 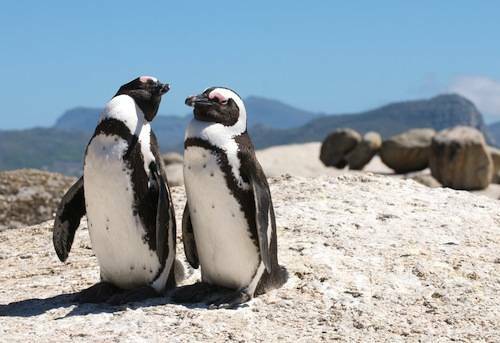 February is usually the hottest month in Cape Town, not only for the high temperatures in the Mother City, but also for some of the best events, exhibitions and festivals in South Africa. Make the most of the usually hot Cape Town weather in February, so visit the city’s awesome beaches. The evenings now are more and more wind free and balmy and you should make a plan to add in an outing to Kirstenbosch or some of the Cape wine farms to enjoy one of the awesome open air concerts. If you a fan of classical or pop music, this month is very special with lots of extraordinary concerts in Cape Town. And if you are happy to join a hands-on-wine harvest, well, a visit to the Cape Winelands is certainly a must. So here they are some of the best Cape Town events in February for visitors, expats and residents. •	Cape Town, Green Point: Cape Town Tens. At Hamilton's Rugby club. 1 - 2 February 2019. More info. •	Cape Town, Big Bay. Red Bull King of the Air. Until 10 February 2019. Free entrance. Watch the spectacular riders find their kitesurfing champion from all over the world when they somersault and speed across the waves. More info. •	Cape Town, Kirstenbosch Gardens: Summer Concert Series. 3/10/17/24 February 2019. Tickets: From R125. More info. • Cape Town, Waterfront: Stenin Press Photo Exhibition - at the Chavonnes Battery Museum. Until February 2019. Exhibition of amazing images by young press photographers. More info. •	Cape Town, Artscape Theatre: Hairspray - the Musical. From 2 -16 February 2019. Fun musical for the whole family. Tickets: From R185. More info. •	Cape Town, Baxter Theatre: Woza Albert. 5 February - 2 March 2019. Comedy Show. Tickets: R100. More info. •	Cape Town, Maynardville Open-Air Theatre: Richard III. 6 February - 9 March 2019. Shakespeare's play in fantastic open-air theatre setting. Tickets: From R130. More info. •	Cape Town, CBD: State of the Nation Address (SONA) - Opening of Parliament. 7 February 2019. Road closures in and around the CBD on Thursday - and for rehearsals on Tuesday and Wednesday evening see more info here. 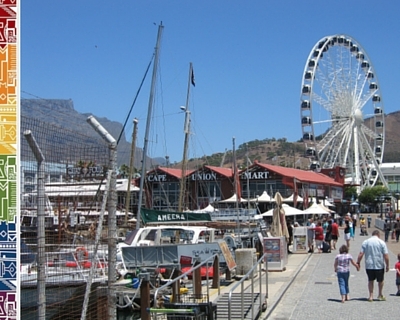 •	Cape Town, Salt River: Cape Town Public Arts Festival. 9 - 17 February 2019. Free entrance, however tickets for street art tours must be booked in advance. More info. • Cape Town, various locations: Galileo Open-Air Cinema at the Waterfront, Kirstenbosch Gardens, Hillcrest Quarry. Throughout February. Various evening screenings. Tickets: From R89. Check the programme here. •	Cape Town, CTICC: Cape Town Art Fair. 15 - 17 February 2019. Contemporary Art from Africa and around the world. Tickets: From R95. More info. •	Cape Town, Artscape Theatre: Design Indaba. 27 - 29 February 2019. Conference and Exhibits. More info. •	Cape Town, Newlands: Cape Town Burns Night. 9 February 2019. Scottish culture and charitable event at Kelvin Grove Club. Tickets: R650. Contact Claire. •	Cape Town, Alliance Francaise: French Filmfestival. Until 18 February 2019. Free entrance. More info. • Stellenbosch, Oude Libertas Amphitheatre: Recuerdos. 16 February 2018. Spanish music experience the stunning open-air setting. With the James Grace. Tickets: From R220. •	Stellenbosch, Coetzenburg Sports Grounds: Harvest and Wine Festival. 23 - 25 February 2019. Showcase of hundreds of wines from award-winning producers of the region. Tickets: R150. More info. •	Paarl, Nederburg: Harvest at Dusk. 16 February 2019. Wine festival with activities for the whole family. Tickets: R270. More info. •	Franschhoek: Grand Provence Harvest Festival 2019. 23 February 2019. Wine tasting, grape picking and stomping, harvest feast all included. Tickets: R650/325 for children under 12. More info. 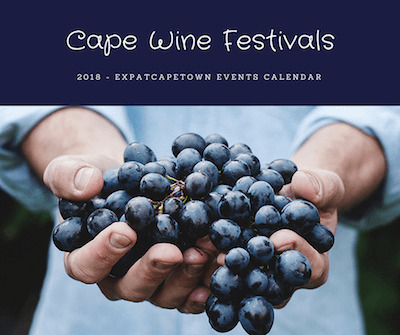 If you know about other great Cape Town events February 2019, please contact me. More info on Cape Town Events in February can be found on the Computicket website: www.computicket.com, and on webtickets.co.za, where you can find more info on location and pricing and can make your bookings.